Every day, I receive a brief email from The Generous Wife with an idea, a bit of encouragement, and an inspiring quotation about how to love Ryan better. Lori’s emails address the full gambit of our relationships from buying vitamins and noticing our husbands’ oh-so-straight lawn-mower lines, to praying for them and pursuing them romantically. I’ve been receiving the emails for over a year now and haven’t always acted upon the advice, but I think I’m going to do a week’s-full just for kicks. You can get in on the fun and receive the emails, too! For those of the male persuasion, check out The Generous Husband. Let’s all give a little bit more! 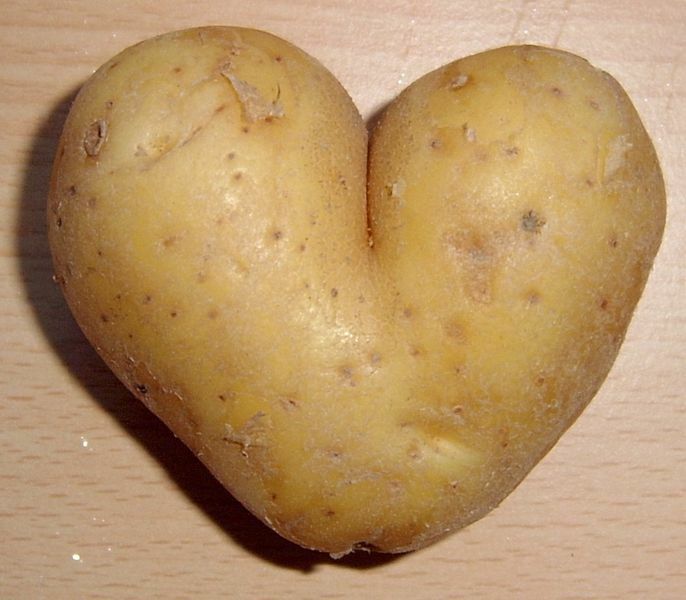 The way I figure it, if a potato can be so romantically inclined, I can muster up a little lovin’, too!